Worst Injury Of The Day: Broken Finger Or Broken Ankle? Injuries are a natural part of football. Competition: also a natural part of football. As such, the next logical, nay, natural step is to create an injury competition. Let's go. First up is Georgia Southern’s Valdon Cooper, who broke his finger defending a pass in the first quarter against Georgia. Weirdly enough, Cooper doesn't seem all that upset about it. 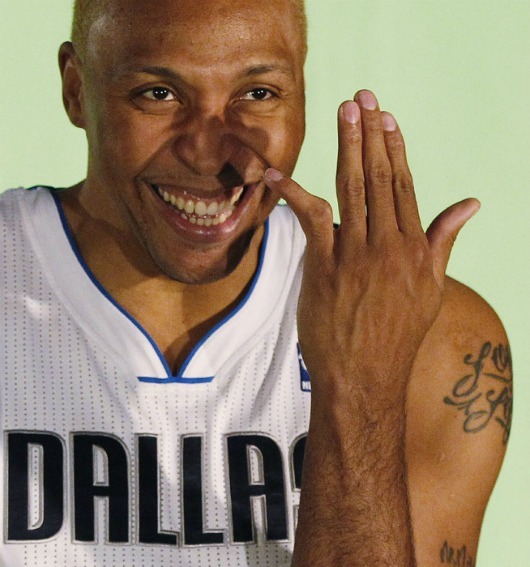 Nasty, but nothing we haven't seen before from, say, Shawn Marion. 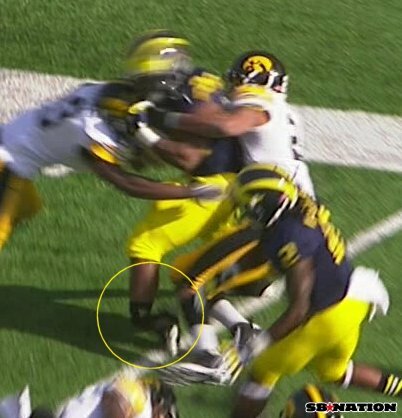 We also have Michigan's Fitzgerald Touissant, who broke his ankle on the first drive of today's game against Iowa after being tackled awkwardly at the end of a ten-yard run. WARNING: The following image is graphic. Oh God. This contest is over. Give that man the ten thousand dollars.